This article was first published on the Site Interesting Literature founded and edited by Dr Oliver Tearle, Lecturer in English at Loughborough University and freelance writer. It appeared on 28 July 2017 at https://interestingliterature.com/2017/07/28/10-of-the-best-poems-about-stars/#more-12016. Stars, like flowers and the moon and sunsets, are part of the ‘paint-by-numbers’ poetry toolkit: if you want to write a passable poem that sounds consciously ‘poetic’, you can, as S Club 7 put it, reach for the stars. But poets throughout the centuries have put the stars to more thoughtful and interesting use than mere poetic decoration, offering songs in celebration of the starry firmament and more pessimistic takes on the stars in the sky and what they tell us about ourselves. 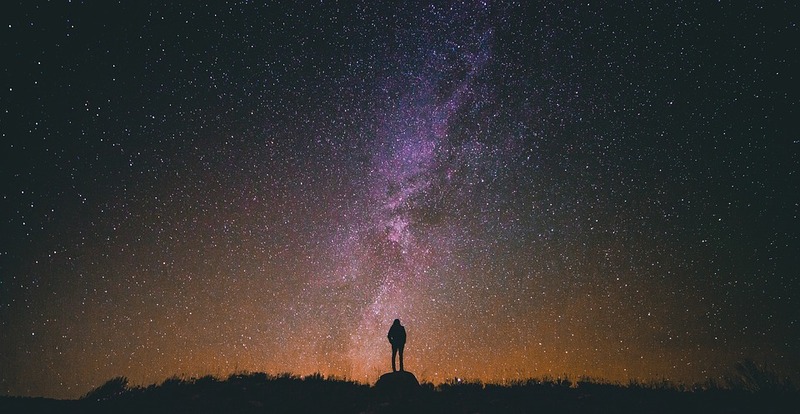 Here are ten of the best poems about the stars. William Wordsworth, ‘The Stars are Mansions Built by Nature’s Hand’. In this example of the Italian sonnet, Wordsworth celebrates the beauty of the stars in the night sky, seeing them as the abode of ‘the spirits of the blest’. John Keats, ‘Bright Star’. This sonnet muses upon the fragility and inconstancy of human life. It doesn’t actually have a title, and instead is known by its first line, ‘Bright star! Would I were stedfast as thou art’, and sees Keats comparing his own condition with that of a star ‘stedfast’ in the night sky. Keats copied the finished version of the sonnet into a volume of The Poetical Works of William Shakespeare, placing his poem opposite Shakespeare’s A Lover’s Complaint. The first two words of the sonnet were used as the title of the 2009 biopic about Keats’s life, Bright Star, starring Ben Whishaw as Keats. Emily Dickinson, ‘Ah Moon – and Star!’ In this poem, Dickinson does a bit of star-gazing, and concludes that, far away from her though the moon and stars are, they are not as far away as her beloved. The end of the poem is ambiguous, allowing for us to interpret this unspecified beloved as Jesus Christ, making this a religious poem (or, more accurately, a poem about religious doubt) as well as a fine poem about the stars. Gerard Manley Hopkins, ‘The Starlight Night’. This sonnet by Victorian poetry’s most idiosyncratic writer entreats the reader to look up at the stars on a ‘starlight night’; Hopkins likens the stars to numerous things, from people or ‘fire-folk’ sitting in the night sky, to the eyes of elves, and to diamonds – ‘diamond delves’ likens the stars in the night sky to diamonds in dark mines or caves. ‘The Starlight Night’ was one of two poems which Hopkins sent to his mother as a birthday present, the other poem being ‘God’s Grandeur’. What a birthday present! A. E. Housman, ‘Stars, I Have Seen Them Fall’. Like many of Housman’s poems, this one is untitled, so we’ve given its first line here. Although the stars seem to fall, they remain in the sky; although rain falls into the sea, the sea remains the same saltwater it has always been. Housman’s poem is about futility, and offers a less celebratory take on the stars in the night sky. Louis MacNeice, ‘Star-Gazer’. To look at the night sky is to look into the past: we are looking at stars, not as they are now, but as they were thousands, perhaps even millions of years ago. Written in 1967 but looking back to his eighteenth birthday some 42 years earlier, MacNeice’s ‘Star-Gazer’ thinks bigger than man’s three-score-and-ten, reflecting on the fact that some of the stars now bursting into life will never be seen by the poet, because they are so far away their light will only reach earth a long, long time in the future. W. H. Auden, ‘The More Loving One’. Like Dickinson’s poem above, here we have another poem connecting the stars to unrequited love. Looking up at the stars, Auden says, he knows they are indifferent to him, but then if equal affection between two things – or between two people – is impossible, he would rather be ‘the more loving one’. Sylvia Plath, ‘Stars Over the Dordogne’. ‘Stars are dropping thick as stones’: so begins Plath’s poem about the stars, in which her speaker sits and watches the stars dropping into the landscape, prompting her to consider the universe, eternity, and other seemingly boundless things. A fine but lesser-known Plath poem that concludes our pick of the greatest poems about the stars. They are all great. I love ‘The Starlight Night’ it’s beautiful.